Change your career in one year, online. Why should you choose Labouré’s NDT program? Feel confident that you will find a new career in the NDT field. For five consecutive years, Labouré’s NDT Graduate Employment Rate reached 100% (Source: 2012-2017) Gainful Employment Disclosures. A neurodiagnostic technologist performs procedures including: electroencephalograms (EEG), evoked potentials (EP), polysomnograms (PSG or sleep studies), nerve conduction studies (NCS), and long term monitoring, all of which may aid in the diagnosis and treatment of neurological problems ranging from common headaches, head and spinal injuries as sometimes seen in athletes, seizures, sleep disorders, strokes and unexplained comas. 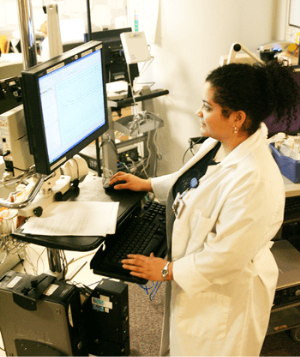 Neurodiagnostic technologists work in hospitals, clinics and doctors offices. 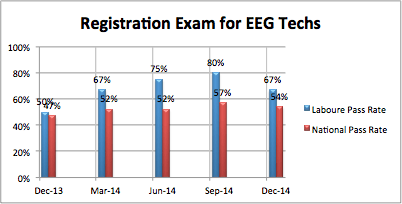 More experienced technologists may work in the operating room. 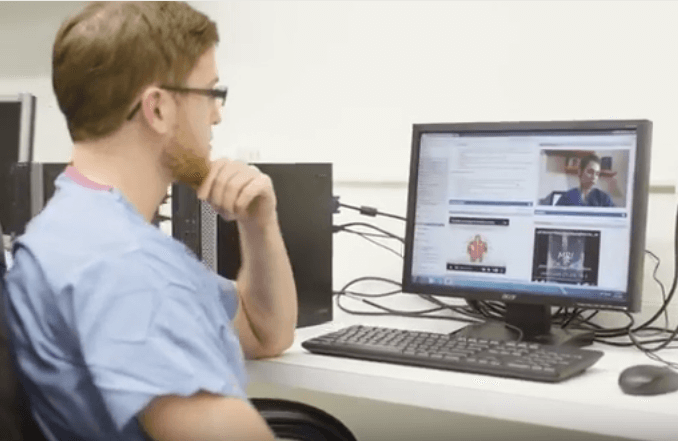 With the continued rapid advances in technology some technologists also find challenging positions in the world of research, as well as within the medical instrument industry. 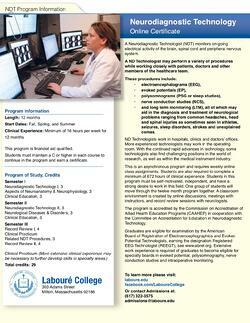 Students completing this program are expected to take the national EEG credentialing examination administered by the American Board of Registration of Electroencephalographic and Evoked Potential Technologists (ABRET) www.abret.org. "The most important aspect of my education at Labouré College was the personal attention, support and encouragement I received every step of the way that afforded me the confidence to become successful. 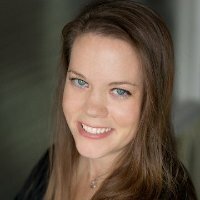 With a combination of high-quality theoretical classes and hands-on clinical experience, the Neurodiagnostic program at Labouré allowed me to learn and grow at such a level that I began working in the field less than a year into training and became the Chief Technologist at one of Boston's finest hospitals just 4 years after graduation. I am very grateful for my experience at Labouré because it provided me the opportunity to break into an exciting field and become a valued member of a health care team." Accreditation for Education in Neurodiagnostic Technology. What is the salary for NDT professionals? Is this career in high demand? Yes, with potential careers branching into: Neurodiagnostic Technician, Electroencephalogram (EEG) Technician, Polysomnography (PSG) Technician. To attest of the demand, over the last 7 years, Laboure College’s graduate employment rate has been maintained at 100%. What is the cost of the program? Is there financial aid? The program is priced at $365 per credit for Spring 2018. There are 29 credits in the program. You will also need to purchase books and supplies. Books will be available through an online bookstore. Book requirements will be posted separately prior to the start of each semester. A payment plan can be arranged through the One-Stop Student Service Center. Tuition may be paid by credit card once a credit card authorization form has been completed and returned to the One-Stop Student Service Center. The program is approved for financial aid and meets all financial aid criteria. Interested applicants can begin by filling out the Free Application for Federal Student Aid (FAFSA) online at www.fafsa.gov. You can contact the Office of Financial Aid at (617) 322-3517 or financialaid@laboure.edu with any questions. Will my hospital pay for me to take this program? 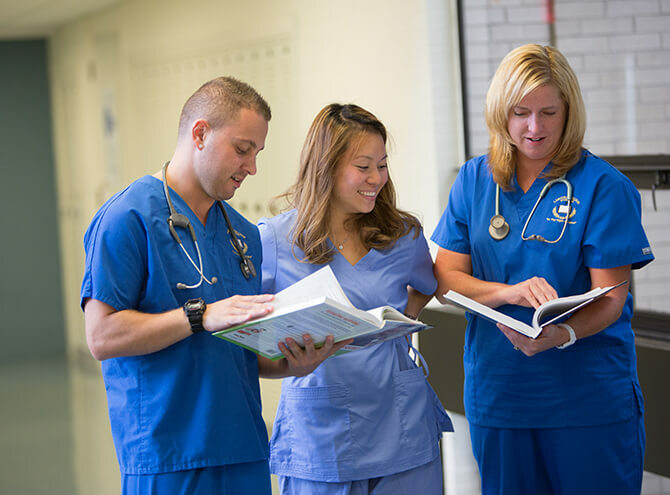 Many hospitals financially assist employees in their collegiate endeavors. This is a benefit offered through employers. This program is completed in one year. To see a complete list of application requirements for the NDT certificate. What is the weekly time commitment for this program? Classes are offered online and are asynchronous, but not self paced. Weekly assignments are posted at regularly scheduled times. Several assignments and quizzes/exams may be due during any one week. Weekly participation in an online discussion board is required. Students are expected to be in clinical a minimum of 2 days (16 hours) per week for the duration of the program. Where do I get my clinical experience? While it is the responsibility of the applicant to secure a clinical facility, the NDT Team and Clinical Site Coordinator can assist applicants who need help. We cannot assist applicants in securing a clinical site until the applicant has submitted all other (non-clinical related) application materials. Applicants are required to provide documentation that a registered EEG technologist is willing to evaluate their skills on an ongoing basis. Please keep in mind that securing a clinical site can be a lengthy process. If I was trained on the job and now work in an EEG lab can this count as my shadowing requirement? Yes, on the job training does count as shadowing for the Site Visit portion of the application process. Applicants still need to complete the required documentation for admission. Shadowing is best done under the direction of a registered technologist. Are there special computer skills or requirements? The program is web-based and good computer skills and access to an up-to-date computer is imperative. How will I communicate with my professors when not on campus? You can look forward to dynamic communication between professors and students as daily and weekly classroom and community ties are encouraged within the online environment. Frequent and personal communication, including discussion boards and live “Online Meeting” classes and chats will create a bond essential to your success. Professors also use weekly announcements and assignment feedback to further ensure access to the professor’s daily presence and availability to support classroom instruction. 1. When you need help, are you comfortable approaching a professor to ask for clarification? 2. Are you comfortable with a self-learning environment? 3. Do you have good time management skills? Will you be able to schedule your time effectively and to stay on task to complete assignments outside of class? 4. Are you self-disciplined and self-motivated? 5. Do you have the ability to read and follow written instructions? 6. Do you have (or are you willing to obtain) access to the Web at home? 8. Do you have strong web browser/Internet skills (connecting, accessing, using browsers) and ability to perform online research using various search engines and library databases? 9. Do you have the ability to use online communication tools, such as email (create, send, receive, reply, print, send/receive attachments), discussion boards (read, search, post, reply, follow threads), chats, and messengers? 11. Do you have the equipment and software outlined in the section entitled: Student Hardware and Software Requirements?